The Universal Robots UR10e is our largest collaborative robot arm, designed for heavier tasks where precision and reliability are still of paramount importance. The UR10e's maximum payload of 22 pounds makes it ideal for heavier-weight collaborative processes such as packaging and palletizing, assembly, and pick-and-place. 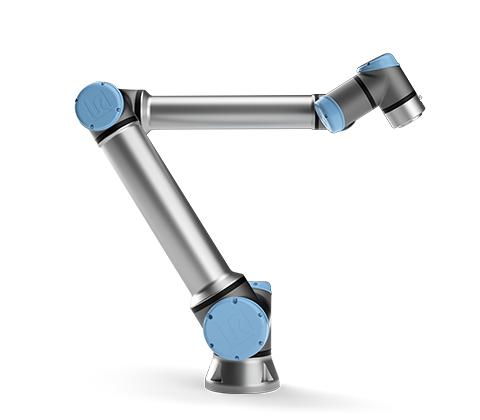 With a reach radius of more than 51 inches, the UR10e effectively automates tasks across a large area, where distance may be a factor for other cobots. The Universal Robots UR10e is easy to program, offers fast set-up, and is easy to redeploy as your needs change. 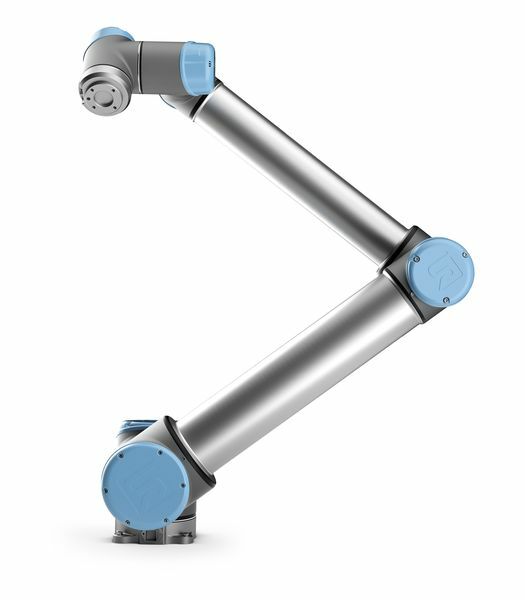 With its extended reach and higher payload capacity, the UR10e 6-axis robot arm offers exceptional application flexibility. Even if your needs are smaller today, the UR10e lets you “grow into” larger automation processes. Like all Universal Robots, the UR10e is collaborative and safe to work alongside human workers with no bulky, expensive safety guarding (after risk assessment). It offers the same proven technology as the smaller UR3e and the popular UR5e robot arms. All three collaborative robots feature precise 0.1mm repeatability and offer one of the fastest payback periods in the industry of just 195 days.